Water Play – 15 Water Activities For Kids! Do your kids love to play in water? Are you looking for some great water activities for kids! These 15 water play activities are easy, fun, educational, and will keep your child busy! My kids love to play in water! I mean, what kid doesn’t?! But why not kick it up a notch! Why not make water play even more fun as well as educational! 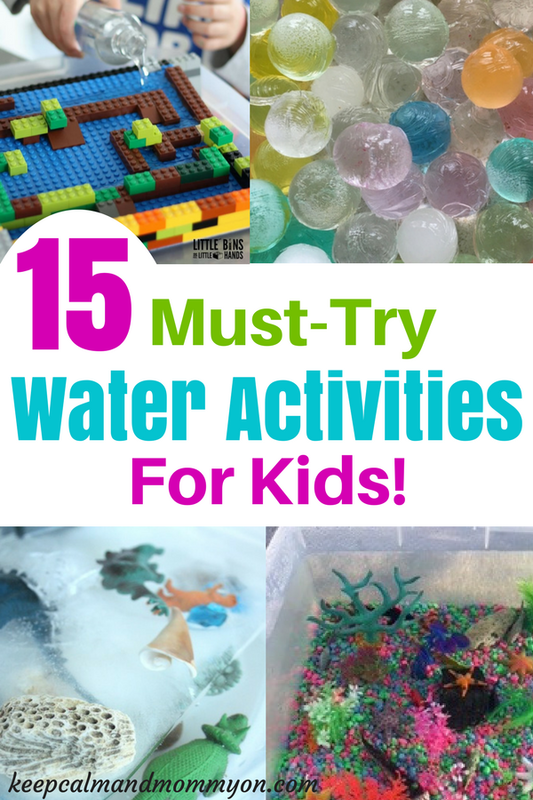 Here are 15 great and easy water activities for kids! Water Play – Water Bead Activities for Sensory Fun! Water beads are so much fun! This is a great activity for water play on a rainy day. 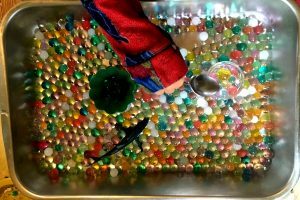 This Water Bead Sensory Fun Activity from Everyday Chaos & Calm is definitely a water activity that my kids will love! Water Play – The Ultimate Fish Tank Sensory Bin! 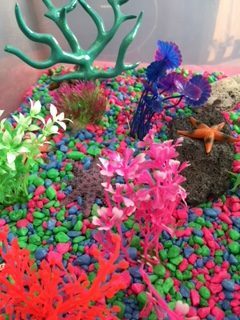 The Fish Tank Sensory Bin is a water play activity that I created for my kids. Its full of bright colors, lots of different textures, and of course WATER! They loved having a fish tank that they could actually put their hands in! They both had a blast! Kids love to pretend to cook and bake! My kids have a play kitchen that they love to pretend cook in. 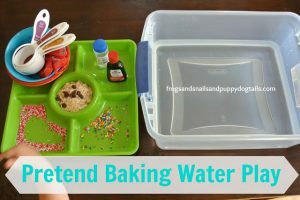 Pretend baking with water is definitely something they will love! Check out how to make this water activity as fun as possible over at Mess for Less! Water Play – Paint with Water and Colored Ice! What a great idea for a hot summer day! 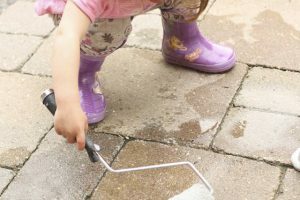 Kids will love to paint sidewalks and the driveway with this paint ice. Find out how to make this fun water play activity at Frogs Snails and Puppy Dog Tails. Water Play – Antarctica Sensory Bin! 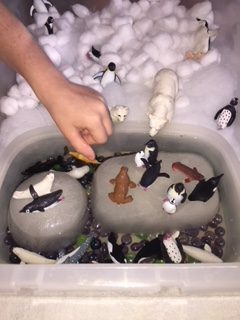 The Antarctica Sensory Bin is a great summer water play activity because it involves ice! What better way to stay cool than by playing in the arctic?! This activity can be played either indoors our outdoors. It’s not only loads of fun but a great way to teach your child about the animals that live in icy Antarctica! Glowing Galaxy Water Play Sensory Bin! 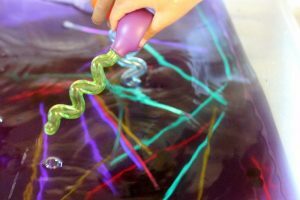 This activity is not only fun and wet, but it glows in the dark! Find out how to make this super cool water play activity at Fun-A-Day! Color Sorter Water Play Bin! What a fun way to teach toddlers and preschoolers their shapes and colors! They will have so much fun with this colorful water activity! Find out how to recreate it at Teaching 2 and 3 Year Olds. 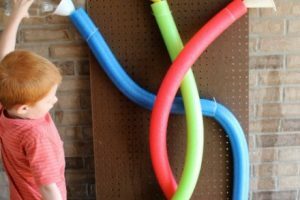 Water Play – Pool Noodle Water Wall! Pool noodles are great for more than just floating in the pool! Make this pool noodle water wall for kids of all ages! A super neat and creative water activity for kids to do this summer! 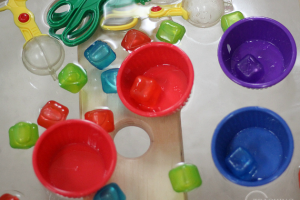 Learn how to make this water play activity at Teaching Mama. 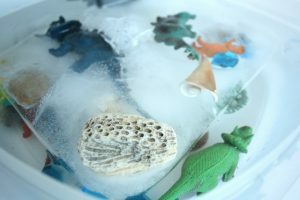 Dino Dig Water Play – Melting Ice With Salt and Water! My kids, especially my boys, love dinosaurs! They had a blast with my Dinosaur Dig Sensory Bin that does not include water, so I know that they will absolutely love this dino dig! And what a great learning experience to learn how to melt water with salt! Find out how to make and do this super cool Water Play Dino Dig at Happy Hooligans. Sidewalk Chalk Water Play Painting Activity! 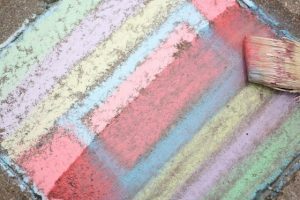 Sidewalk chalk is always a hit! But combined with water?! Loads of fun! My kids had a blast making these Water Chalk Easter Eggs for easter, so I know that they will love this fun outdoor summer water play activity! Found out how to do this fun water play activity at Happy Hooligans. 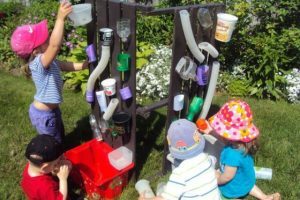 Water Play – Water Wall! This water wall is similar to the pool noodle water wall but contains lots of items that you probably already have on hand. This is sure to be a hit and loads of summer fun! Find out how to make this water play water wall at Happy hooligans. Fine Motor Water Activity For Toddlers! This fine motor water play activity is a great developmental tool as well as lots of fun! And it only requires materials that you probably already have on hand. Check out everything that you need for this fine motor water play activity at Playdough to Plato. Painting Water Activity For Kids! What a great way for kids to get to paint like a grown up! Painting with water is a super easy yet super fun activity that will keep your kids entertained for hours! 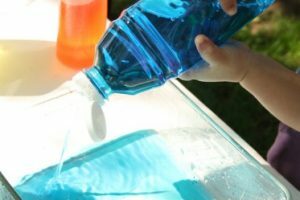 Encourage imagination and creativity with this water play activity! Find out the best way to let your kids paint with water at Happy Hooligans. 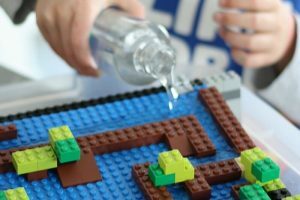 Lego Water Activity For Building Dams & Exploring Water Flow! Legos are a big hit in my house! But legos with water?! How creative! This is a great educational and fun way to teach kids about water flow and how dams work! Learn how to do this super fun water play activity at Little Bins For Little Hands. 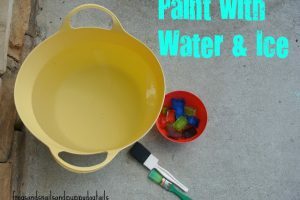 This is a great water play activity to teach your kids about colors and how colors mix together! Have fun creating your own color combos with this coloured water activity! 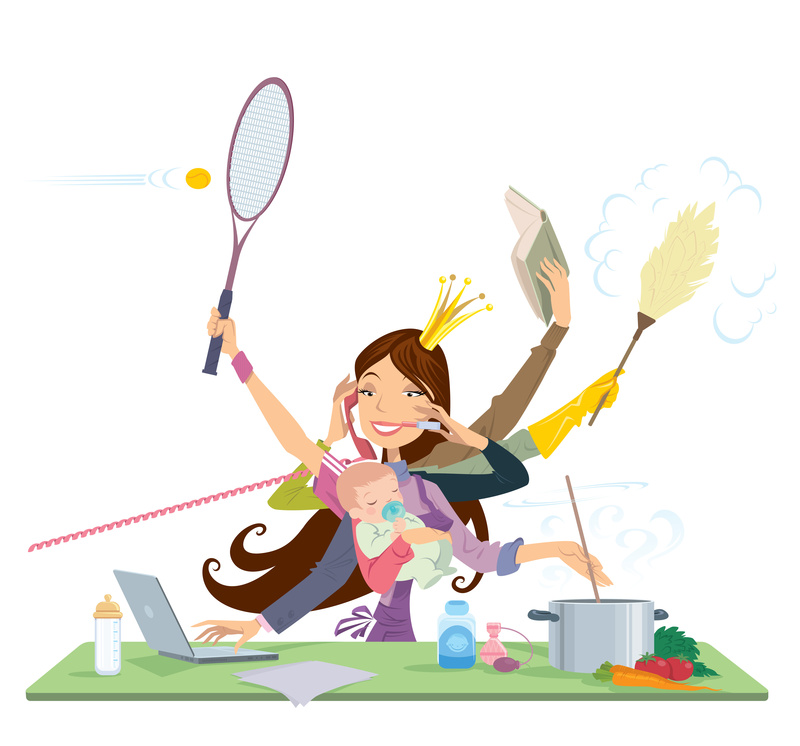 This is such a great summer time activity! 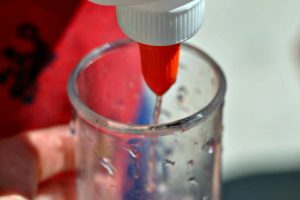 Find out how to make colored water for this fun water play activity at Happy Hooligans. Those are 15 super fun water activities for kids! I can’t wait to do all of these with my kids over the summer months! Which one’s are your family’s favorites? « Dinosaur Dig Sensory Bin!